Join Leigh and learn her tips and tricks for designing gorgeous mosaics. 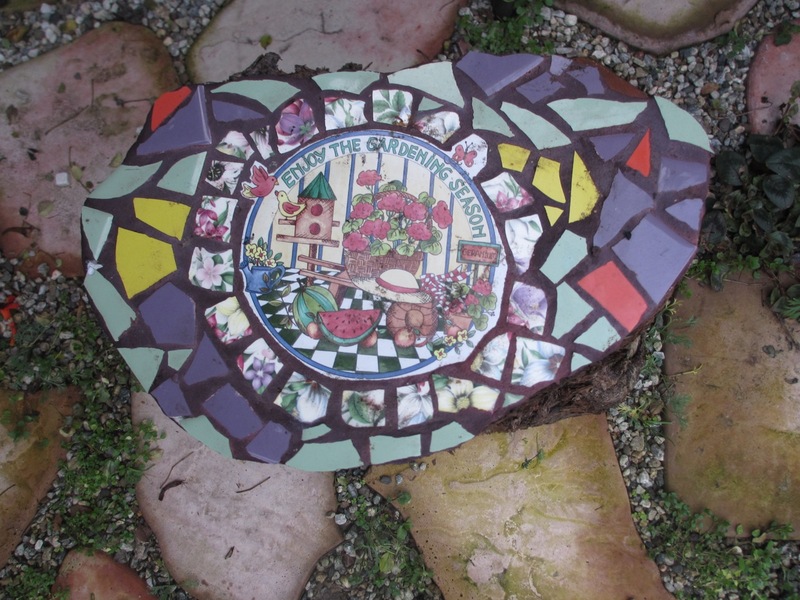 Let Leigh walk you through the steps for creating indirect mosaics. Learn how to use No Days Mosaic Mesh to make the process easier and how to mount your mosaics on vertical or horizontal surfaces when you get home. 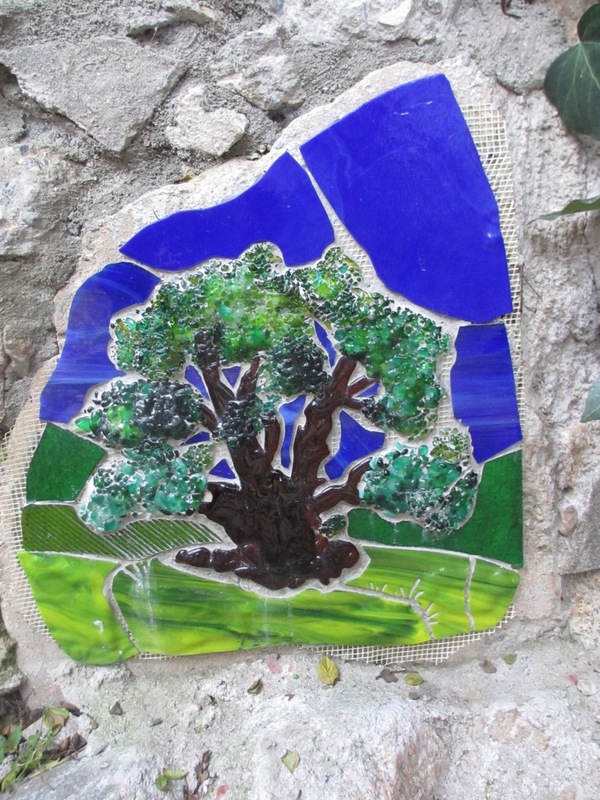 Students will leave with a 6″ x 6″ mosaic on mesh that can be mounted on a variety of surfaces at home. hair! 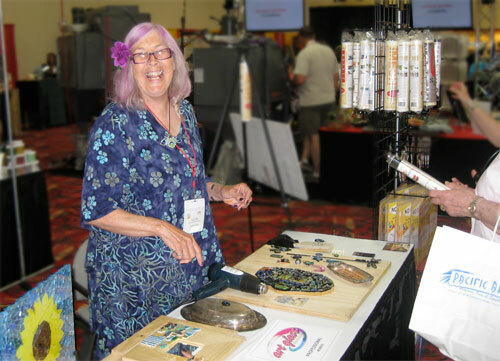 And she’ll be joining the No Days Instructors in our booth on the expo floor this year to show you how she works with No Days Mosaic Mesh. ages, but especially enjoys working with children to create public art. Leigh has traveled and worked with children in Mexico, China, Africa and Central America for many years. Detail of Leigh’s No Days Mesh mosaic installed, but not yet grouted. thought Streuter should be doing it!” exclaims Leigh. 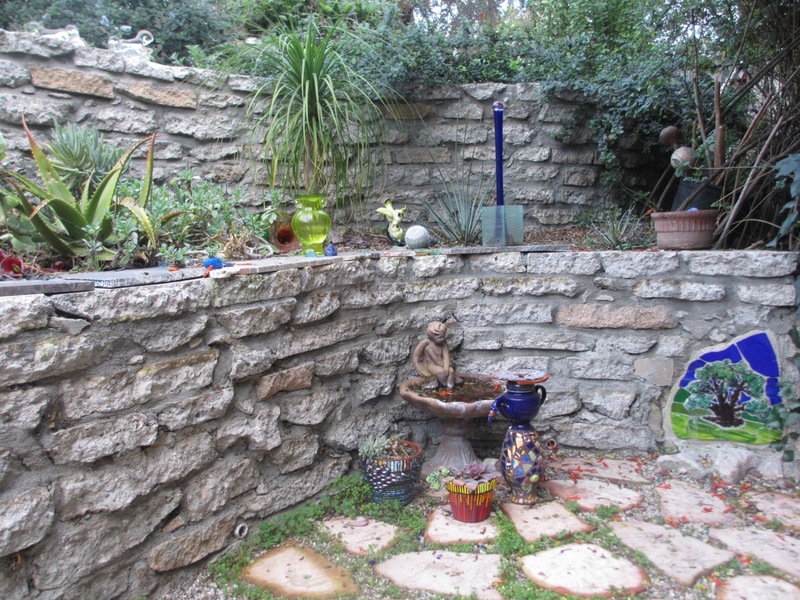 She’s excited to share her tips and tricks for designing and mounting indirect mosaics. 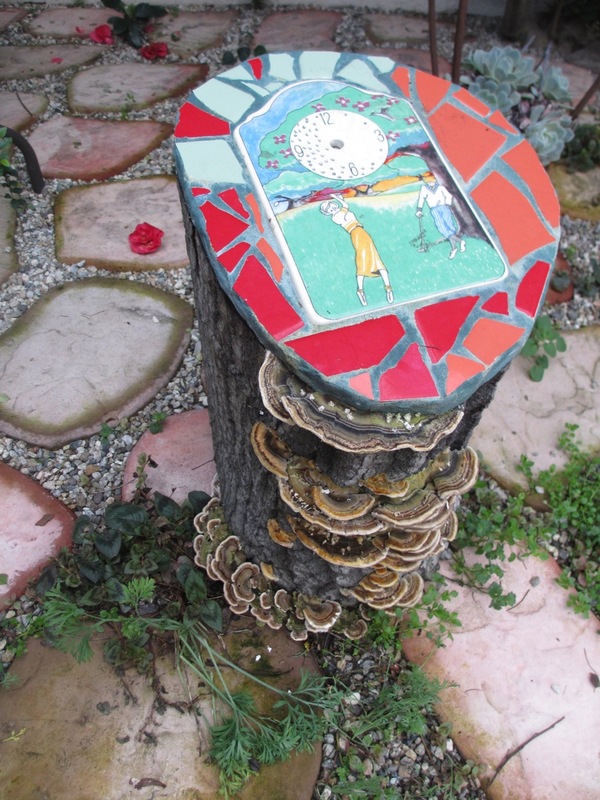 Ceramic mosaic installed with No Days Mosaic Adhesive on a fallen tree stump. 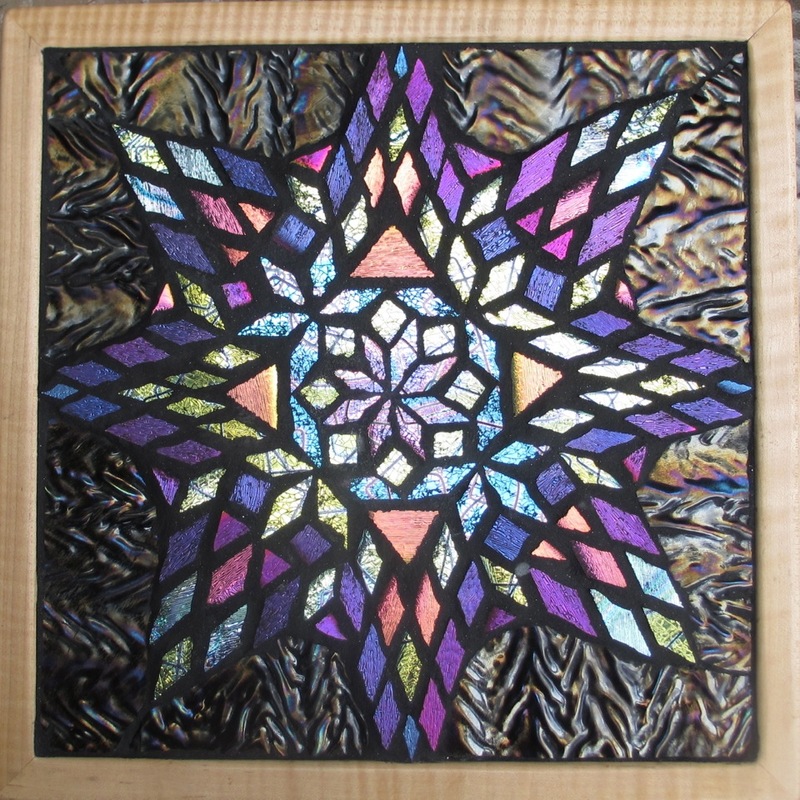 To find out more about Leigh and see more of her work, visit her website LAGlassArt. To sign up for any of the No Days University classes, head over to the Registration Page!